We sell plots at Nal safari. Nalsafari offers exclusive plots near and around the resort for you, to enjoy quality time in peace and tranquility. It is an opportunity to invest in a place to rejoice and get appreciation too. These plot of lands have appreciated over 10 times in last decade. Book your property now! Where is Nalsafari located? Is it within the restricted ecofriendly zone declared by Govt ? 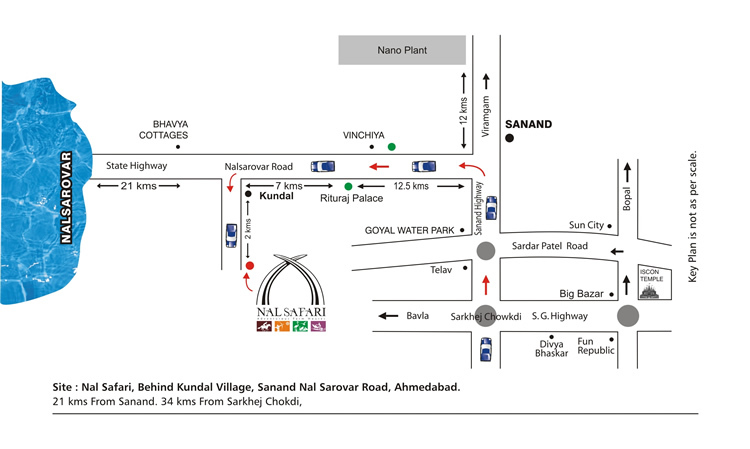 NALSAFARI is located near Kundal village on Nalsarovar road, 34 km from Sarkhej cross roads and 20 kms from Sanand, Ahmedabad. Nal safari is not within the restricted zone. It is 10 kms away from the eco friendly zone declared by the govt. Nal sarovar bird Sanctury is 22 kms further ahead from Nal safari scheme. What about the titles and N/A Status of Nalsafari?? 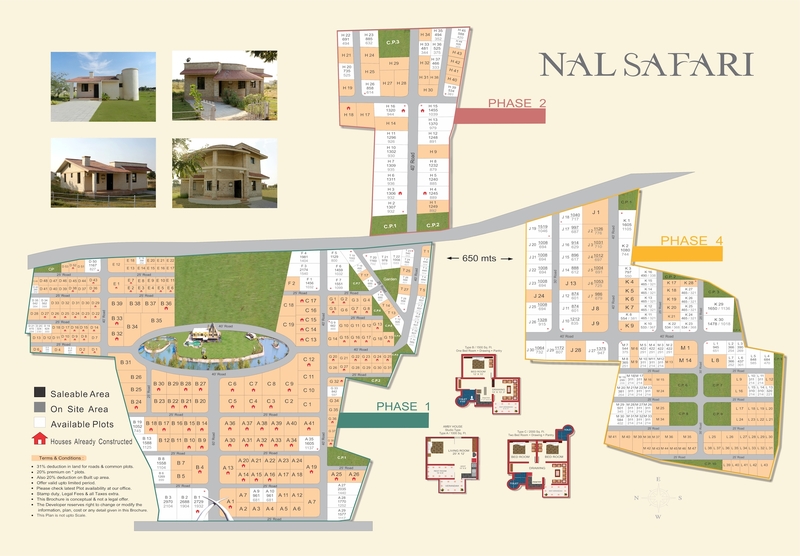 All the plots of phase 1, 2 ,3 and 4 of Nalsafari have got NA clearance. The tittles of this scheme are clear and have been approved by SBI for home loans. Do you give only plots without construction? Yes. You can get plots without construction too. You can even construct houses later on. You can even construct houses by your own. How is the development at site? Full fledge development is in progress. Cement Roads to all the plots in the First and second phase, water body, plantation, 2 lac sq ft lawn, water body,125 houses are completed.Various creative structures have been erected at the site. The 15,000 sq ft world class resort has is already open. Please see the latest development in the photos section on this website. 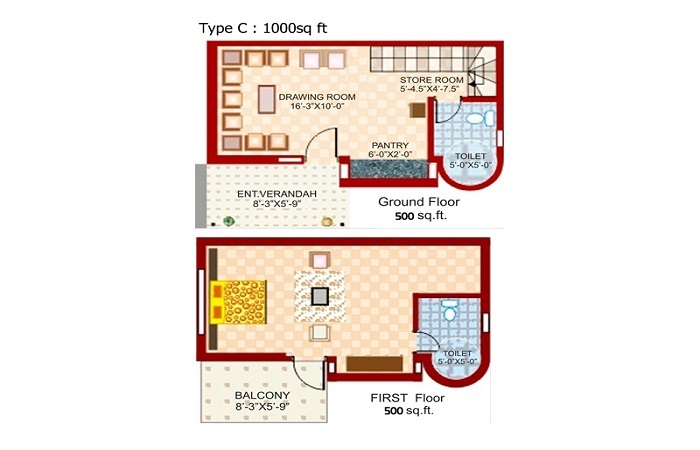 This site is the having the highest development amongst all the schemes. Along with the resort more than 100 houses have already been constructed. What are the sizes of the plots? 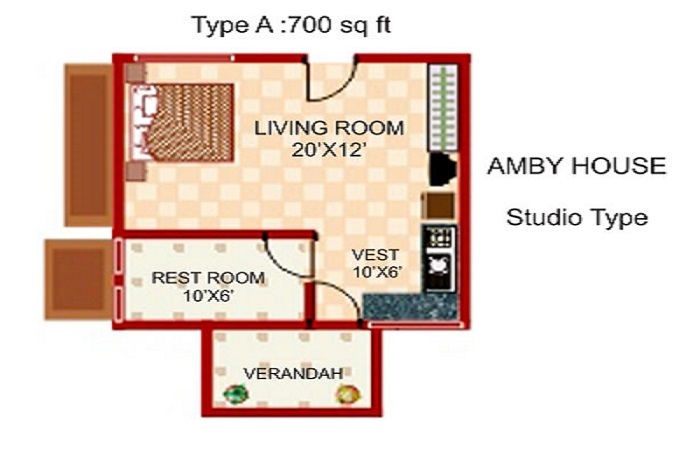 There are different sizes of plots available. 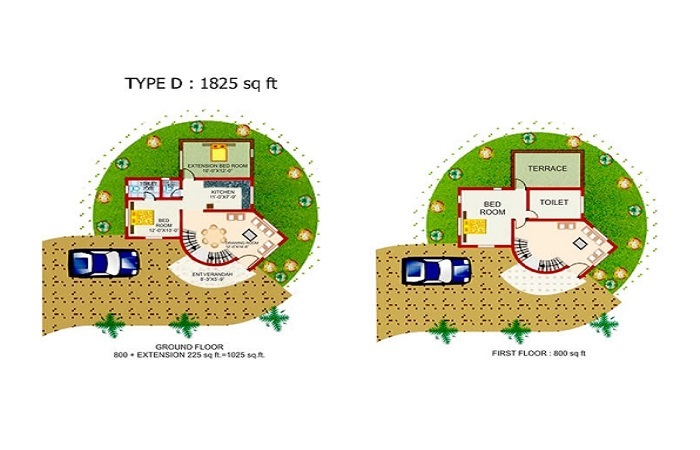 The sizes of the plots available are 300, 400, 500, 1000 up-to 3000 sq yards sizes. 3000 sq yards i.e 2700 sq ft and above. What are the prospects of investment returns in next few years? Nalsafaris apreciation is based on the schemes own performance and development. The benefit of investing in Nalsafari is that the world class Resort is already running and is having highest footfalls in all seasons. 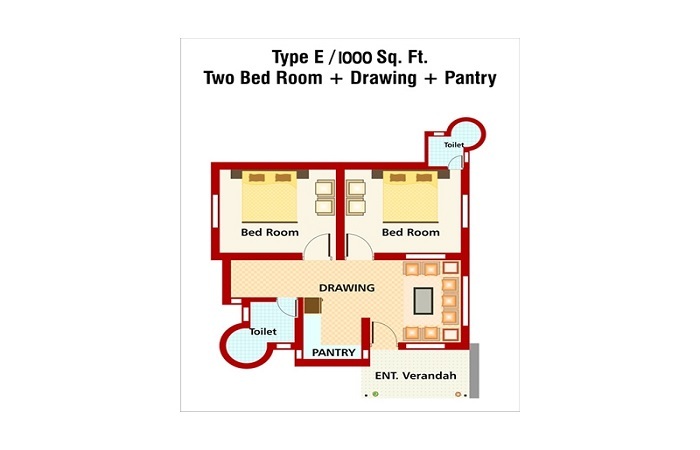 The properties on nalsarovar road are still underpriced as compared to Gandhinagar and other areas at similar distance. 100 Projects like Nano, Peugot and Ford are in the vicinity of 20 minutes drive. Due to population growth and fast infrastructure development the Land prices are going to increase. New ring road and by pass road near Sanand are on immediate priority plan by the govt. Nal safari has been awarded the BEST PROJECT by GIHED. Rates of land in this project are expected to increase by leaps and bounds in near future. When will we get possession of our farm houses? Possession of the plot can be availed immediately after full payment and registration of sale deed of the plot. 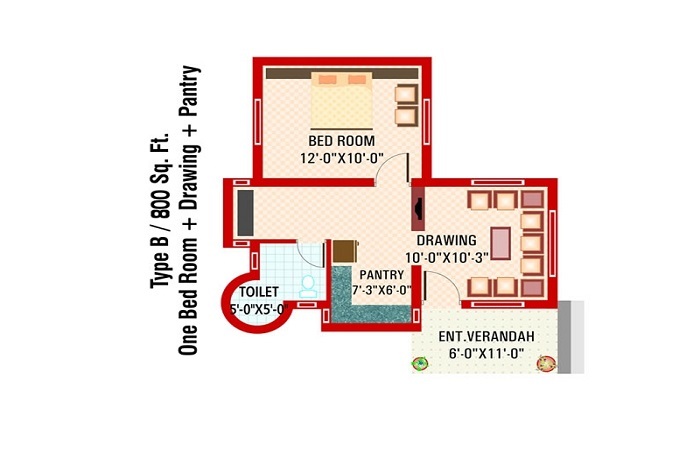 The house construction takes about 6 to 8 months as per your required designs.